Book | 1974 | More titles to the topic Availability: Items available for loan: [Call number: GESCH 786 S] (1). by Korolenko, Vladimir G [Autor]. Book | 1917 | More titles to the topic Availability: Items available for loan: [Call number: GESCH 786 K RUSSISCH] (1). by Chamberlin, William Henry [Autor]. Book | 1958 | More titles to the topic Series: Die russische Revolution: 1Availability: Items available for loan: [Call number: GESCH 786 C] (1). Book | 1958 | More titles to the topic Series: Die russische Revolution: 2Availability: Items available for loan: [Call number: GESCH 786 C] (1). 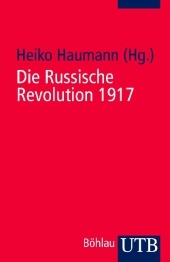 Book | 1992 | More titles to the topic Series: Die Russische Revolution: 1Availability: Items available for loan: [Call number: GESCH 786 P] (1). Book | 1992 | More titles to the topic Series: Die Russische Revolution: 2Availability: Items available for loan: [Call number: GESCH 786 P] (1). Book | 1993 | More titles to the topic Series: Die Russische Revolution: 3Availability: Items available for loan: [Call number: GESCH 786 P] (1).